As I’m just beginning my freelance business after a summer off, and as a huge fan of “Breaking Bad”, I enjoyed reading this blog about how “Breaking Bad” has some solid career advice for entrepreneurs. I’m not going to get into the moral and ethical questions of the show, which are the most interesting and what keeps fans obsessed with this program and its final outcome on Sunday night. Watching meek Mr. White (almost Mr. Chips) turn into Heisenberg (almost Scarface) has been such an interesting, thought-provoking moral dilemma. When do (or did) you stop rooting for Mr. White to win? Say what you will of Breaking Bad’s protagonist Walter White — and there’s plenty to say. He’s a ruthless, sociopathic meth lord whose quest for power has wrought death and destruction we’ve yet to see the end of. Note: If you aren’t currently caught up with your Breaking Bad episodes, you may want to come back to this post after you are to avoid any potential spoilers. If you are caught up, and you’re eagerly awaiting the series’ final two episodes like 5.9 million other fans, let’s indulge our mutual obsession by exploring yet another way to dissect this endlessly intriguing show. Here are four of the big (legally and ethically acceptable) lessons we can learn from Mr. White — and one warning we’d be wise to heed. Walt would have just been some middle-aged chemistry teacher cooking drugs in his skivvies in the middle of the desert. His rise to mythological levels of power and notoriety started off with the one thing all wannabe entrepreneurs have to have: a solid, high-quality product. Walt’s meth was the purest in the marketplace, and his customers (and competition) recognized that — and that’s what gave him the leverage to build an empire from nothing. 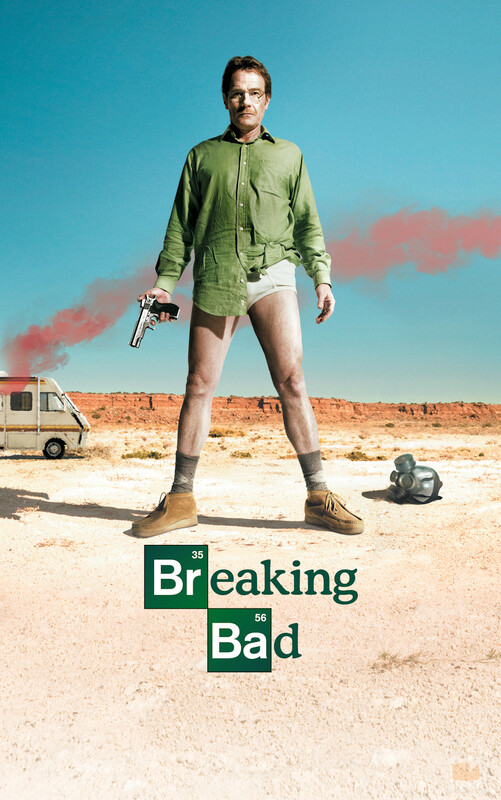 Walt first dubs himself “Heisenberg” in the episode where he shaves his head, confronts local drug lord Tuco and makes it clear (via surprise explosive device) that he isn’t to be messed with. It’s one of the first times we see Walt fully embrace his darker ambitions — he’s not just doing this for his family; part of him loves the power and fame, and he’s officially declaring his pursuit of that. As the debris settles, we as an audience know that he’s rounded a corner, and the streets of Albuquerque know there’s a new kingpin in town. Walt got involved in the whole meth scene out of a desire to provide for his family after his cancer diagnosis. As the series progressed, we’ve watched him devolve into a creature driven by greed, ego and a thirst for power. But he still seemed to have soft spots — for his kids (definitely), for Jesse (sometimes), for his wife Skylar (maybe?). It was one of the things that kept people rooting for him long after he’d clearly gone from hero to anti-hero.